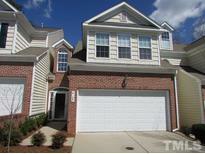 Below you can view all the townhomes for sale in the Allyns Landing subdivision located in Raleigh North Carolina. Listings in Allyns Landing are updated daily from data we receive from the Raleigh multiple listing service. To learn more about any of these townhomes or to receive custom notifications when a new property is listed for sale in Allyns Landing, give us a call at 919-928-5027. 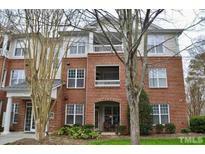 Great location to shopping, RDU Airport and restaurants. MLS#2247531. 1071. Outstanding location - Walk to Lead Mine Elementary School & close to shopping, restaurants & major highways. MLS#2247350. 2017. HUGE basement with full bath, fireplace & patio area. 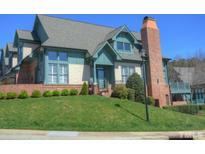 Great N. Raleigh location MLS#2244826. 3221. Convenient to lots of nearby shopping & restaurants! ! MLS#2243746. 2017. Walk to Whole Foods, or stroll around the Lake. What a find! MLS#2233681. 64. Fully finished basement w/plenty of closets! MLS#2230260. 1127. Seller is willing to add walls to basement space to create a formal bedroom with acceptable offer. MLS#2207567. 4823.